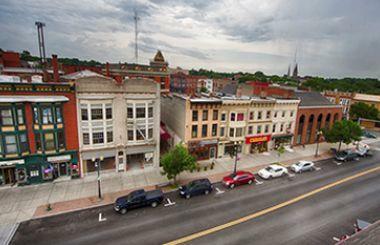 Geneva Named An "All-America City"
Geneva has been named a 2015 "All-America City, " one of 10 cities across the country to receive that designation from the National Civic League. That designation came after a competition held recently in Denver, were a presentation was delivered by a group that included representatives of Geneva, Hobart and William Smith Colleges, The Geneva City School District and some area young people. This year, Geneva was the only city in New York State to be nominated and named an All-America City. Among the criteria used for the designation: civic engagement, collaboration, inclusiveness, innovation and impact. The presentation by Geneva focused on areas that included initiatives for community development and neighborhood revitalization.